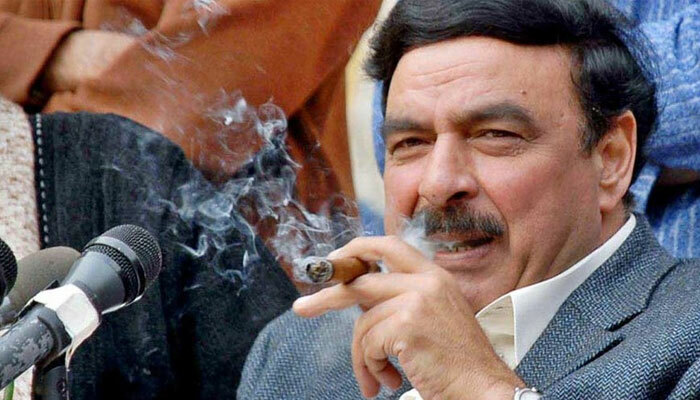 Railways Minister Sheikh Rashid Sunday said he has requested to be made a member of parliament’s top accountability panel, the Public Accounts Committee (PAC), in order to keep a check on the body headed by the National Assembly Opposition Leader Shehbaz Sharif. “I have requested a seat on the PAC. Legally and constitutionally, no one can bar me from becoming a member,” Sh Rashid said while talking to media in Lahore. “Stop me if you can, I am going to the PAC,” he added. Sh Rashid said appointing Shehbaz Sharif – who is facing a graft investigation – as PAC chairperson is a ‘political dishonesty’. “It was a bad call [by the Pakistan Tehreek-e-Insaf (PTI) government]. However, I stand by Prime Minister Imran Khan if he took this decision to save the assembly,” he added. He said Shehbaz Sharif himself said he would not look into audit of cases from the term of Pakistan Muslim League-Nawaz’s (PML-N) government. “Shehbaz Sharif can conduct audit of other matters, I will conduct audit of his matters and will hold the PML-N accountable in parliament. How can this happen that those wanted by NAB ask NAB to appear before them,” he asked. The minister reiterated that the PML-N leadership is seeking an NRO-type deal. “I have seen and heard only one person asking for an NRO and his name is Shehbaz Sharif. But no matter how hard they try, no one will get an NRO,” he added. He said when Saudi Arabia rulers come to Pakistan, everyone will know about the new investments. “I foresee much investment from Saudi Arabia and people will be surprised. I am also foreseeing a visit by the US President (Donald Trump) to Pakistan,” he claimed. Sh Rashid also used the occasion to give a few tips to Pakistan People’s Party (PPP) Chairman Bilawal Bhutto Zardari and said if Bilawal wants to be a politician, he should try to become the next Zulfikar Ali Bhutto and not the next Asif Ali Zardari. “The PPP senior leadership must stand by Bilawal. They must think what has been done to the country. Aitzaz Ahsan, Latif Khosa and Maula Bakhsh Chandio must support Bilawal. If Bilawal wants to govern, he must become a Bhutto,” he added. Later talking to reporters in Multan, Sh Rashid said those responsible for Sahiwal incident would be treated with an iron hand. He said Prime Minister Imran Khan would ensure strict action against the accused after final report of the JIT. He lauded the response of the nation on the issue and added that such response on corruption, merit and other issues would bring a revolution in Pakistan. To a question, Sh Rashid said all corrupt elements in the country would be punished and the cases of billions of rupees in the accounts of dead and other people would be resolved. The minister said he was in support of a new province in southern Punjab. He said the crown prince of Saudi Arabia will visit Pakistan and announce a good package for the country. He said the agreement of ML-1 project with Qatar would bring a revolution in the country as all tracks will be upgraded and unmanned railway crossings will also be regularized. He said Prime Minister Imran Khan was himself monitoring the project. The minister said there was no threat to the government. He also ruled out any chances of an in-house change. The minister said 20 trains have been made operational and 20 more would also be included in the system soon. He said all possible resources were being utilized to ensure maximum facilities for passengers in trains. He said the Thal Express would be made operational in a month to facilitate people of South Punjab. He said more trains from Karachi to Multan would also be attached with the South Punjab areas. The minister announced that a special VVIP train would be started soon in which luxury facilities would be provided to people, however its fare would be expensive. He maintained that ticketing system had been made online round the clock and call centres and complaints centres were being established.